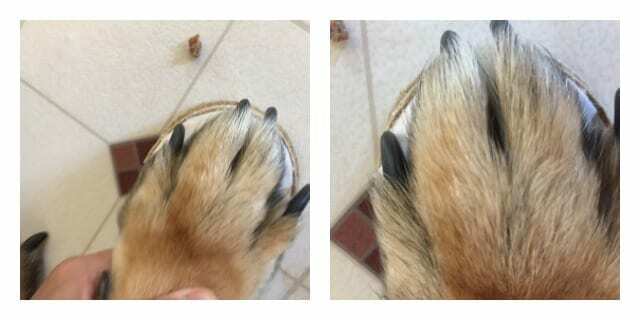 Making a paw print impression of a Tripawd can be tricky. 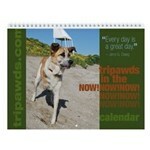 Asking a Tripawd to stand on two legs while you use the third for the impression can make them fall over! Plus, if you use less than great material for the project, the whole effort can be a waste of time. If you want to make a beautiful paw print keepsake the first time out, the Peaceful Memories Keepsake Impression Kit™ is the way to go. 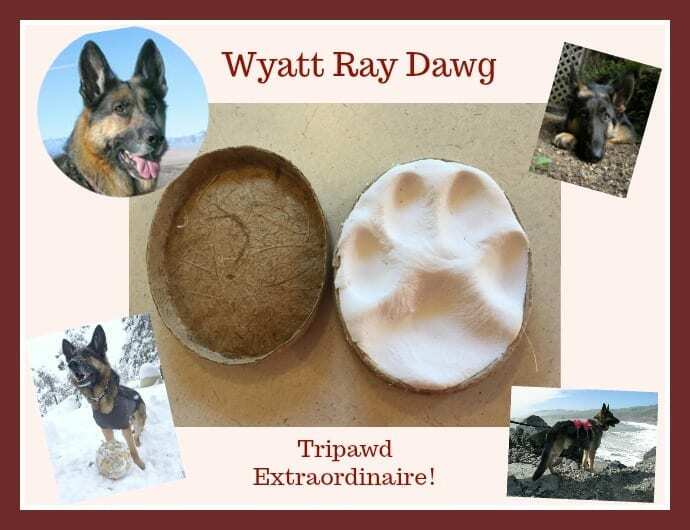 It was fast and easy to make one for Wyatt, who has a major feet phobia! The Peaceful Memories earth-friendly, USA-made air dry impression kits caught our eye because seemed so fast and easy. We tried a complimentary kit from the Washington-based manufacturer and are happy to report these kits lived up to our expectations. Luckily for Wyatt Ray the process was over in minutes! 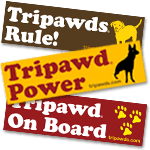 No mixing, no mess paw print kits are the way to go. There was no residue left on his paws or on our floors. 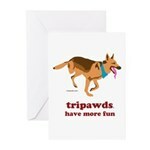 They are in fact the easiest paw print impression kit we’ve ever used. 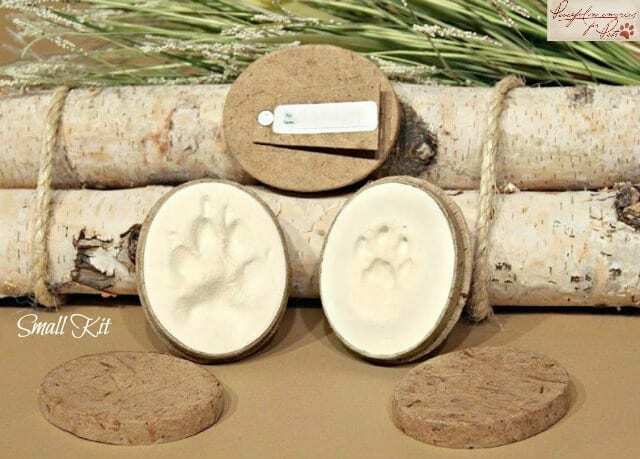 Peaceful Memories paw print keepsake kits use air-dry molding material that’s better than anything we’ve tried. Surface allows you to decorate with craft stamps, paints, etc. And because the air dry molding material is so forgiving, you can even repeat the process if you don’t like the first result. Wyatt’s feet were a little too big for the small kit. We’ll try a large one next. 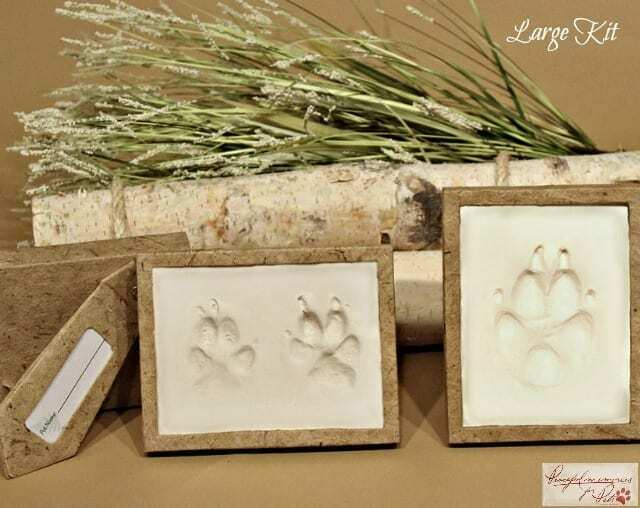 Peaceful Memories paw print keepsake kits come with beautiful eco-friendly frames made with hand-crafted tan-colored paper, a packet of air dry molding material and step-by-step photo instructions that make these kits a no-brainer. Ideal for a small to medium sized dog, cat, rabbit, bird . . .
To make your own beautiful paw print keepsake, order yours below. Items are non-returnable. Thanks for understanding. Prices below include U.S. shipping. International customers, email us your address and we’ll send you a shipping quote. If this is a gift for someone, let us know in the “Special Instructions to Seller” when placing your order. Nice! I made a paw print for Izzy, but it was tough because, like a dope, I procrastinated and waited until her last day when she was feeling poorly and couldn’t get up. That said, I managed and am glad I did – the kit I used isn’t ceramic so I don’t have to worry about dropping/breaking it. It was designed to be used to make an ornament, which is why it’s made from lightweight material. Sure wish it came in it’s own little container like these. They look great! You are most certainly not a dope Amy! How wonderful you were able to get her paw print after all that. A treasure to last a life time for sure! These are awesome. 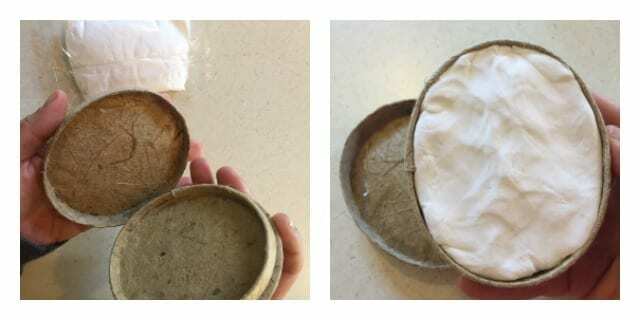 I did Sassy’s with Salt Dough that I made but found out that can be very dangerous if your other dogs eat it. Luckily, Snickers spit most of it out so now have them put in my entertainment center. I have 2 of Sassy’s and one of Bosch plus the one the vet did when Sassy passed. They are TOTALLY pawesome Michelle! I did a salt dough one of Wyatt’s paw but the impression was too murky. And when we did a clay one of Jerry’s way back when, it worked, but it’s heavy and I’m afraid it will crack if I drop it some day. I like these because they’re super compact and contained in a frame. I think you’ll love it. If you get the kits let me know and send me photos, I’d love to see them.